Today I have the honour of interviewing Gift-A-Long designer Elizabeth Green Musselman of Dark Matter Knits! 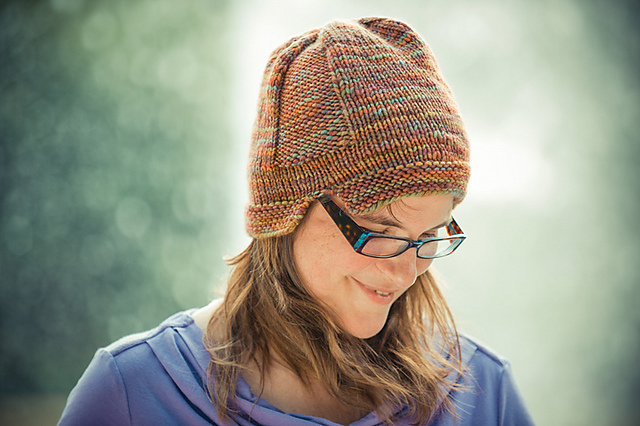 Elizabeth does tons of awesome stuff in the knitting industry, including designing for men and boys, running a podcast, graphic design, copy editing and layout. 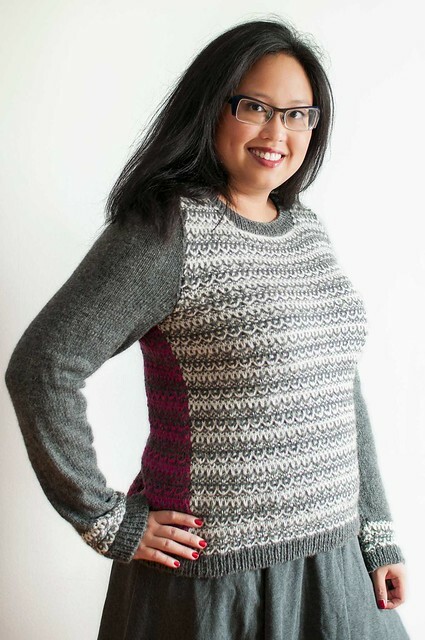 Check out Elizabeth’s designs on Ravelry, including her Gift-A-Long Sale bundle! I learned to knit in the mid-1980s, but only picked it up in earnest in the mid-1990s, when knitting was going through a renaissance, thanks in no small part to the internet. It was amazing to me to see designers appear on the scene who were making beautiful things but who had been knitting for far less time than I had. It made me think: why shouldn’t I give this a try? It took me a while longer to actually start designing, but the seeds got planted early, thanks to some real trail blazers like Debbie Stoller and Ysolda Teague. What made you decide to focus your designing towards men and boys? What challenges do you face in your designing life? Perversity, probably. Hahaha. Actually, I’m only half kidding. I’ve never liked doing what everyone else is doing. Also, I live in a world of men with unconventional tastes: men like my husband who love bright colors and lots of texture; boys like my son who grow their hair out really long—no matter how much they’re teased for it—and want hats that can accommodate ponytails; men like my dad who love hunting and fishing but also deeply and truly appreciate hand-crafted things; friends who are gay, friends who are now men and used to be women, and all sorts of fascinating people who don’t conform to conventional ideas about masculinity—all of those men deserve great hand-knitted garments. I love designing for that group, but it’s also really challenging, because most knitters are women, and most people like knitting for themselves, and not all men like wearing knits … and and and … In the end, I don’t end up having big whammo pattern release days. (Though my men’s and boys’ patterns do tend to have a veeeeery long shelf life.) Another challenge is that even men with wilder tastes tend to be more conventional than fashionable women. So I try to design pieces that look pretty classic but that have knitterly details in them to keep the making of them fun. What goes into producing a video podcast? Oh my, so much. I think quite a bit about what I want to say and show in each episode—I percolate on it a lot over the two weeks between each ‘cast. The recording usually goes pretty quickly. It’s the post-production stuff that kills me each time. I’m still trying to figure out a foolproof way to export, edit, compress, and upload the video each time without having something go wrong. It can be intensely frustrating, though as soon as people’s comments about the episode start coming in, I remember why I do it. Being a freelancer and a parent, I don’t have a ton of truly free time all to myself, but I do enjoy running … which still makes me laugh to say, because that is not something I EVER thought I’d enjoy doing. But after groaning under the weight of depression and literally being overweight for years, it is so liberating to be able to run and run and run. I also spend every Sunday afternoon at our local gaming store with my son playing a role-playing game called Legend of the Five Rings. The game is based on samurai culture. My son plays a brash archer and I’m a courtier who’s essentially the medieval Japanese equivalent of Sherlock Holmes. We both enjoy it so much. Do you find graphic design and editing in the knitting industry takes time away from designing? Absolutely. And I have had to make a really deliberate effort in recent months to carve out more time for my own knitting design. I think lately I’ve found a balance I like more, and you’ll be seeing more frequent patterns from me in the near future. That said, I really do enjoy doing graphic design and editing for other knitting designers, because those are arts in and of themselves. I see all these people around me with gorgeous ideas, and I love helping them burnish their words to a high sheen, organize their thoughts into a gripping narrative, and display their instructions on a page in such a way that conveys both beauty and clarity at the same time. It’s immensely satisfying to me to have a whole pattern match the gorgeousness of their idea and their garment and their photography. What are you knitting this holiday season? Do you knit gifts for others? I’m never very good at planning holiday gifts, but I always end up making some. I just designed some hunting gloves (pattern coming soon), and the photography sample is going to go to my dad. I’m thinking I want to do a handmade Christmas this year, actually, so I’m sure I’ll knit more stuff and then sew and cook and craft all kinds of other things. I give a lot of my knitting away, really. 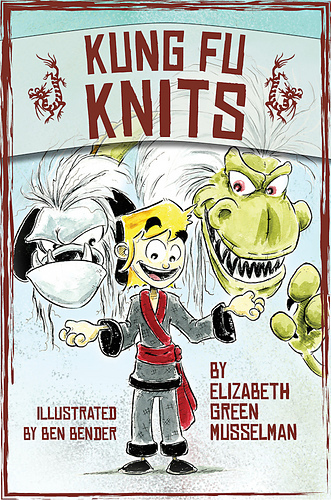 How was writing Kung Fu Knits different from self-publishing? Any tips for designers who want to get into writing a longer format like a book? Man, you ask good questions. 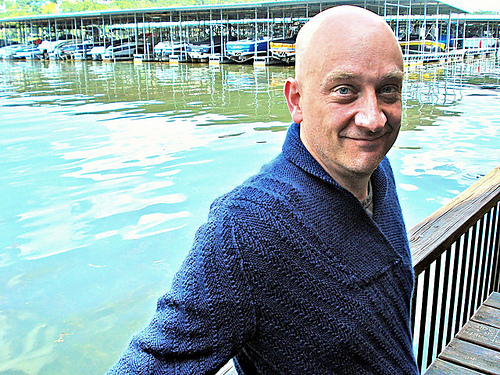 Kung Fu Knits was kind of an unusual case because I was the sole book designer and main copy editor for Cooperative Press at the time (I’ve since scaled back to a freelance designer for them), and I decided to do my own photography so that we could pool resources into hiring an illustrator to do the comic book portion of the book. So, in the end, I did a lot of what a designer would do if she were self-publishing. I’m enough of a control freak that that was perfectly fine with me. Because I’ve managed the book production end of so many books for Cooperative Press, there are several pieces of advice I would give to people planning their first book. First, think about what the market is now. It’s not a pattern-book-buying market anymore. If you really want your book to sell, I’d strongly advise that it have a lot of technique instruction or a great story built into it. Just patterns isn’t going to get you very far anymore. Second, realize that creating a book is a hugely time-consuming endeavor that isn’t really going to earn you a ton of cash. It just isn’t. It’s going to take you at least a year to put the book together (not full time, but you’ll work on it for a year or more), and you’ve got to want the book for reasons other than big royalties. Publishing a book can establish some professional credibility and give you a format that might be the ideal format for what you want to accomplish, but make sure those reasons are enough for you. And finally, be open to creative input from the other people who will be involved in your book project. You’re the author, but there will be a photographer, a tech editor, a book designer, and possibly others (copy editors, stylists, etc.) who will have really smart ideas about how to revise and organize your ideas. Listen to them. They are artists, too. Lastly, because I’m always interested: what’s your favourite kind of cookie? Oatmeal raisin. There’s something about a warm raisin that I cannot resist (cf: carrot cake). 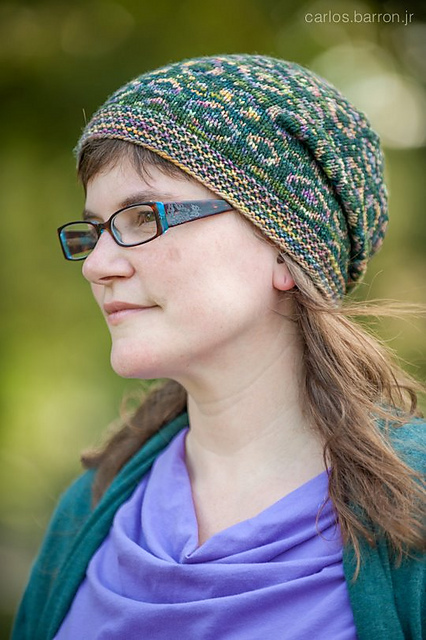 Elizabeth Green Musselman is the author of Kung Fu Knits (illustrated by Ben Bender), published by Cooperative Press.Check out Elizabeth’s designs on Ravelry! The Gift-A-Long runs until Friday, November 21! 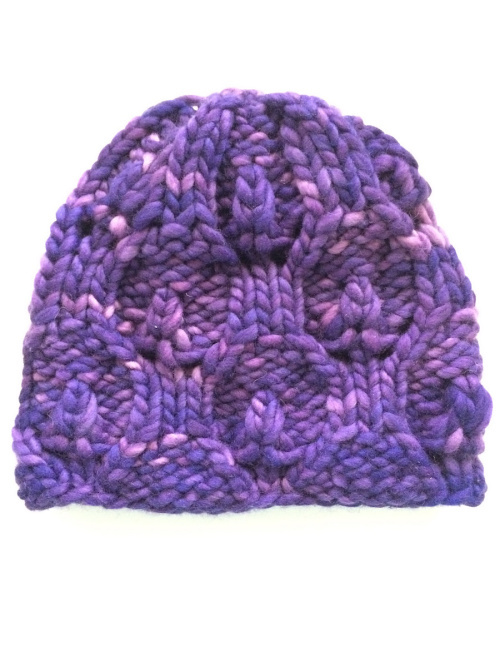 Join the Ravelry group and see what patterns I have on sale!